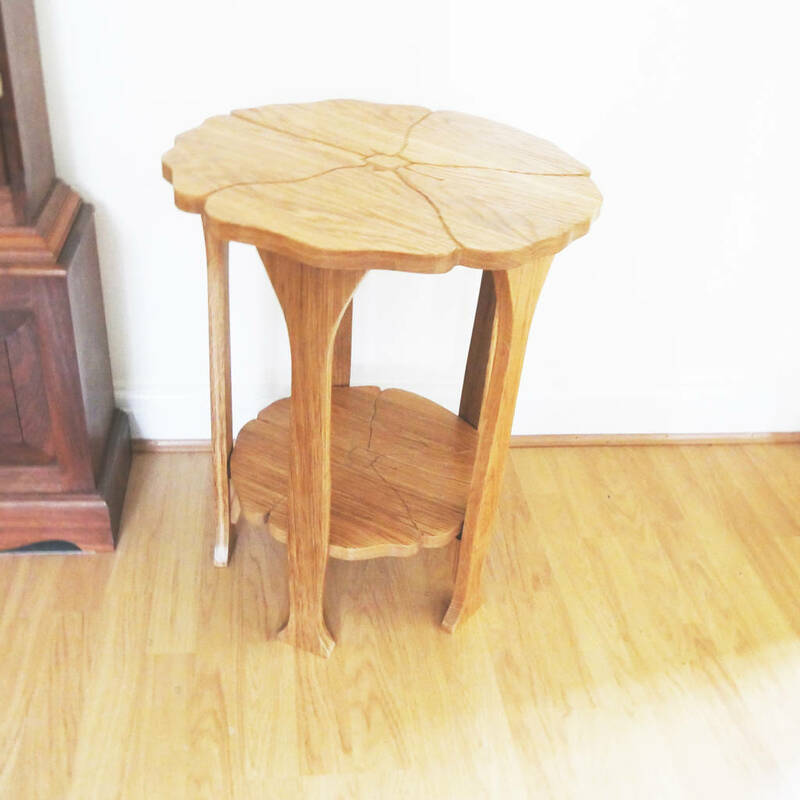 In 1900 Gustav Stickley normally renowned for rectilinear Craftsman style furniture, debuted several new designs which were influenced by the French Art Nouveau style. 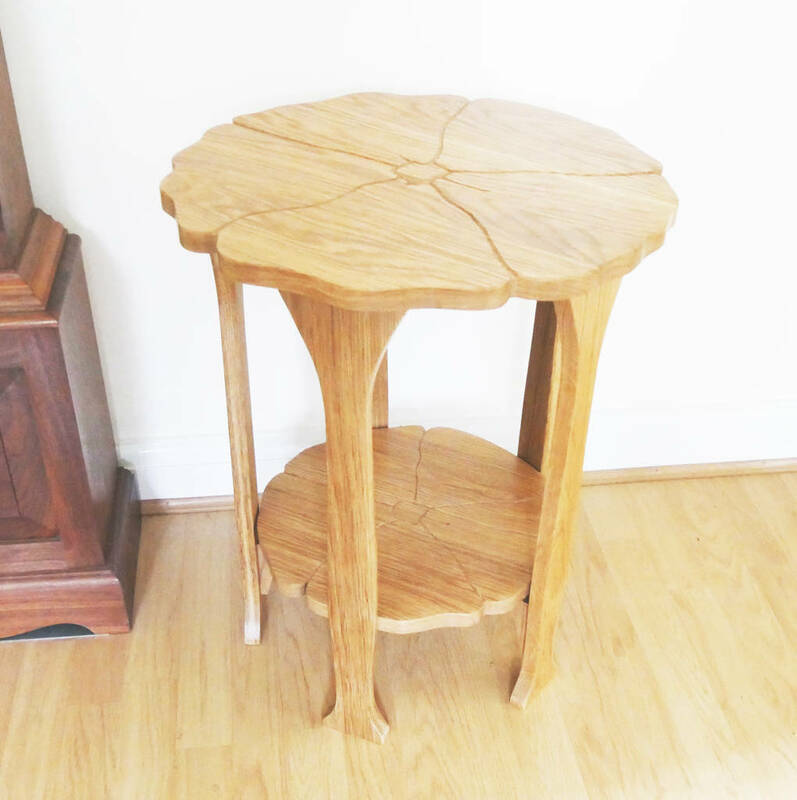 This table is similar to one of these designs and whilst from another era, its charming floral lines will not look out of place in the modern home. 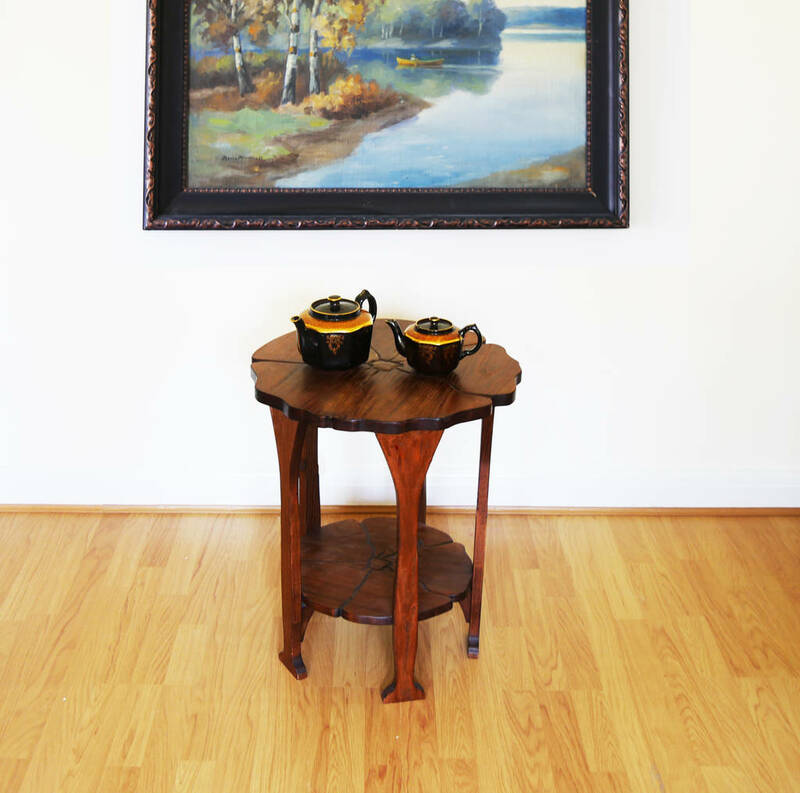 The images show the table made from walnut and also from oak. The dark colour is walnut. 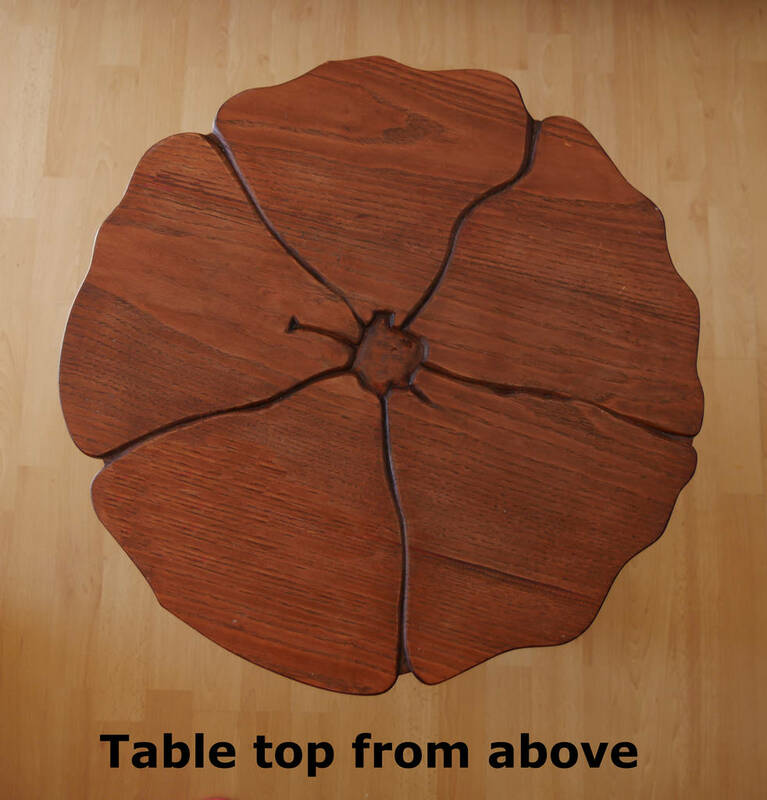 Alternatively, the table can be constructed from white oak or ash. Ash is slightly lighter than oka and has a different grain pattern. Whichever wood you choose, the finished table will be varnished and polished to a satin sheen. 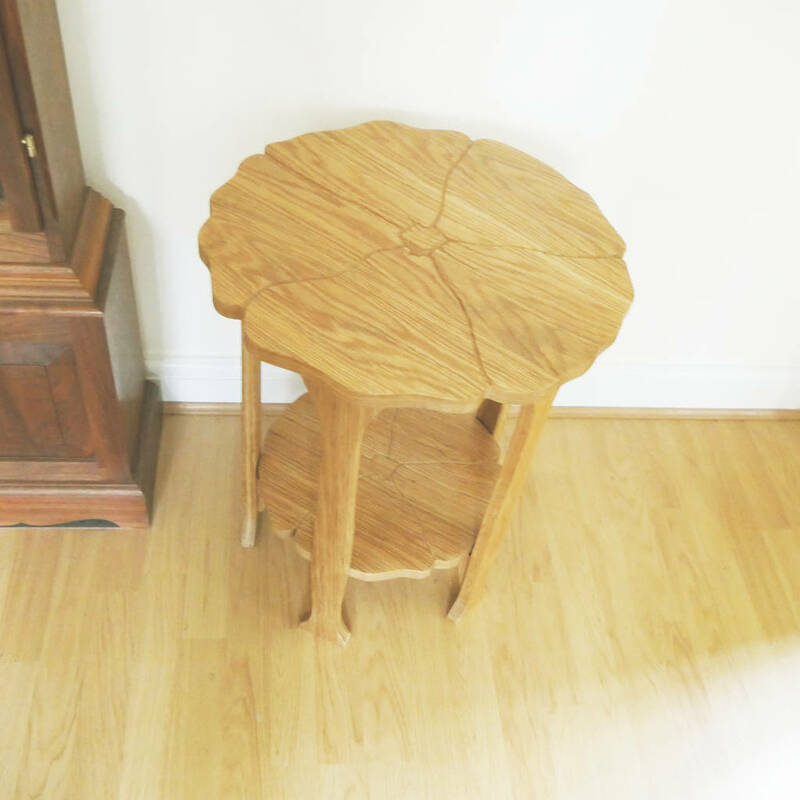 Ash, white oak or walnut. 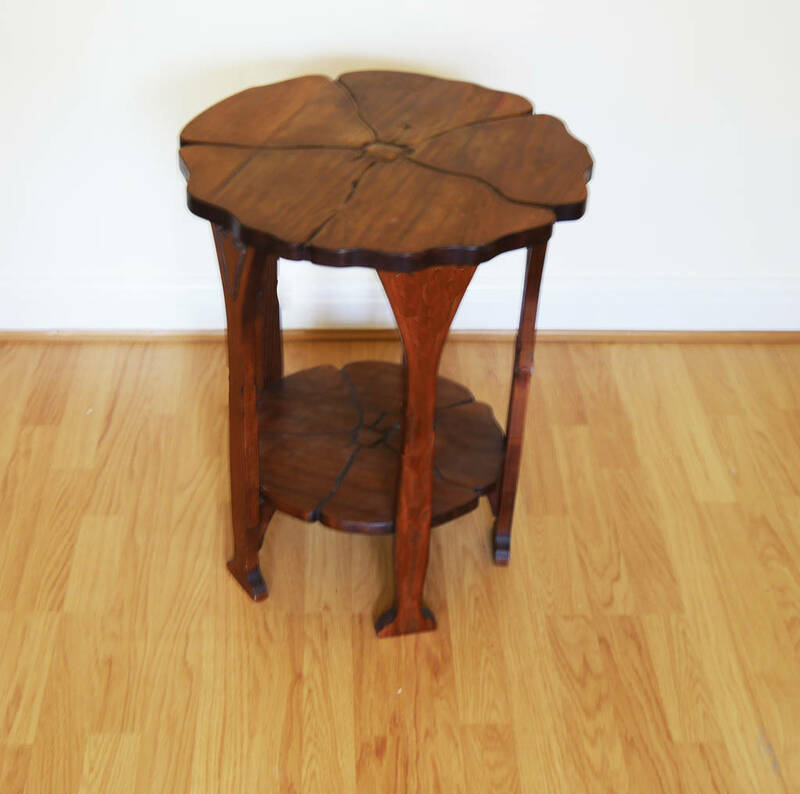 The table measures 60 cm tall and 50 cm in diameter.